Childs Engineering as a subcontractor to the prime consultant conducted a design level underwater inspection of the piers supporting the 1080 foot span suspension bridge. The results of the inspection were then used to develop repairs for the 73 year old structure which is on the national register for historic structures. 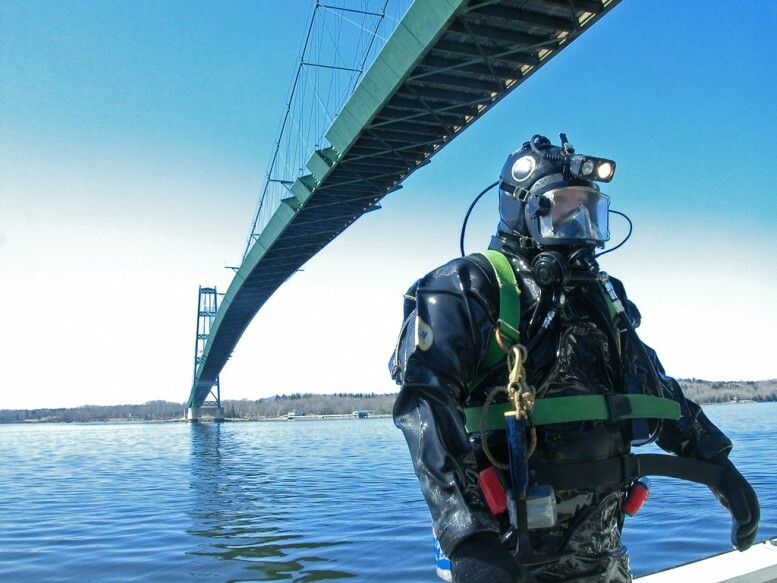 Based on an initial inspection it was determined that the concrete piers were suffering the effects of age and MaineDOT decided to repair and stabilize the structure supporting the suspension bridge towers. Childs designed repairs to restore the deteriorated concrete underwater. Steel forms were designed as stay in-place forms to help protect the piers from ice and concrete was placed to return durability and extend the life of the structure. Design challenges included the development of phasing such that structural integrity could be maintained while removing the deteriorated concrete and also accounting for the remote location and difficulty of placing concrete underwater without road access for trucks.